Becky is a Wyoming native. She worked as a graphic artist and video producer for Charter Media for 9 years before establishing Insight Creative Independent. In 2003 she emerged as an independent video and film artist. She writes, shoots and edits video, television and film projects. 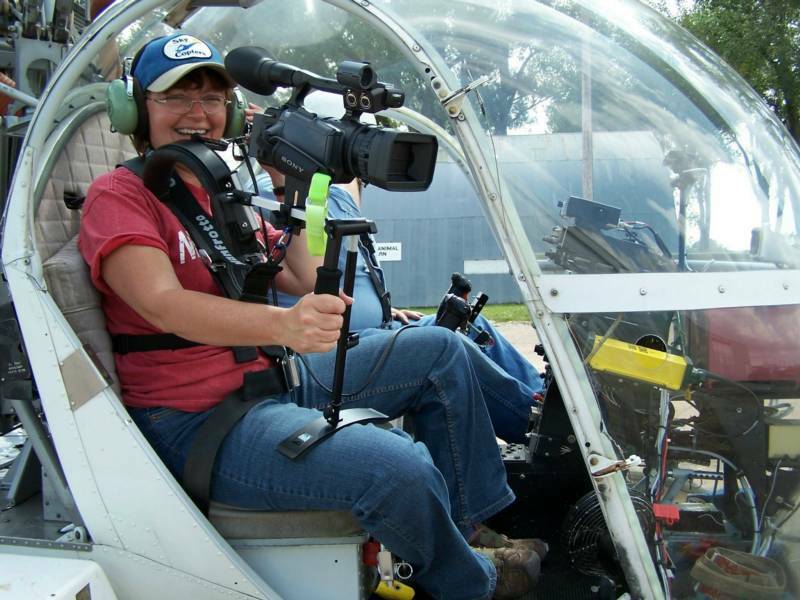 Becky's work has been seen on major networks including Nebraska Educational Television and Discovery Channel. Her television ad campaigns have appeared on regional networks spanning the midwest. Becky McMillen has been involved in the production of major, independent and documentary film. She is an 8-time recipient of industry awards such as the Telly and Accolade. Her documentary work has been seen at film festivals across the country and garnered "Best Short Documentary" awards in Colorado and Iowa. Her recent film River of Time will air on Wyoming PBS in December 2012. Becky and her husband Bill live in western Nebraska which she describes as the most beautiful place on the planet. Udell L. Hughes is a native Nebraskan, born in Crawford in 1926. A World War II Navy veteran, he saw action at Iwo Jima, Okinawa and other battles. He received his B.S. and M.S in Education with a major in Educational Administration from Chadron State College. He went on to receive an Educational Specialist degree at the University of Wyoming where faculty urged him to enter the Doctorate program. In 1977 he received an Ed.D. in Educational Administration with emphasis in research design, statistics and computer science. Dr. Hughes spent 27 years in education as a teacher, school superintendent and as the first director of Educational Service Unit 13 in Scottsbluff. He was the driving force behind the implementation of many of the educational services that are currently available to schools and handicapped residents in western Nebraska. Dr. Hughes has consulted in both formative and summative design and evaluation of educational projects for the Nebraska Department of Education and the Wyoming Education Department. 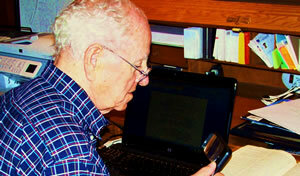 After his retirement from ESU 13, Dr. Hughes designed systems and computer programs that were used by area businesses. He also created a collection and analysis program for tourist attractions in the panhandle. As entrepreneurs, he and his wife Thelma have owned and operated several small businesses in the region. They have 3 children, 7 grandchildren, 2 great grandchildren and are guardians of 3 lively feline adoptees. They continue, after more than 40 years to reside in Scottsbluff. Paul Anthony’s passion for image making began early. Colorful life in a small Nebraska community stood still in photographs captured by an eager youngster with an eye for details. Local legend and photographer Tom Nuesca became his mentor. He began photographing high school sports and captured the attention of professional news photographer Rick Meyers. After winning a state journalmism competition through the University of Nebraska he began studies at Metropolitan Community College in Omaha where he earned an Associates degree in Commercial Still Photography. It was no surprise when Paul was accepted into the Bachelors Program at Brooks Institute of Photography in California. 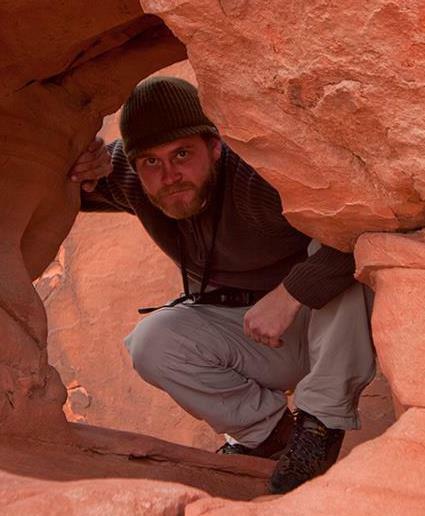 In 2007 he received his BA in Visual Journalism and joined the Cabela’s Production Team at the company headquarters in Sidney, Nebraska where he honed his skills as a high definition videographer and editor. Paul traveled across the country shooting television ads for Ford Motor Company and was involved in the production of Cabela’s television shows for the Outdoor Channel. He created CEO newsletters, internal and retail training and internet videos for a variety of products. He authored and designed DVD menus and mastered best selling programs for hunters. He was instrumental in creating programming for video walls for the ever expanding retail outfitter to new locations in Colorado. Paul’s journey as a photographer and videographer have taken him to distant places and now his journey has brought him back to his community and family. He has brought his passion home to the Midwest. IC Indie is proud to have Paul Anthony as part of the team.